Hybrid cars combine a gas engine with an electric motor to help them consume less fuel than a conventional vehicle. Electric vehicles rely 100% on being plugged in to charge and have a range depending on the driving style to offer a near zero carbon footprint. You are probably aware of the advantages of owning a hybrid or electric vehicle, and might enjoy seeing the different types available. The most popular type of hybrid, these vehicles can be powered by the engine, electric motor, or both at the same time depending upon the speed you are driving. The electric motor propels you at lower speeds, while the gas engine jumps in as your speed increases. These vehicles also have a regenerative braking system that produces electricity, which means that when you brake, the vehicle uses this momentum to recharge your batteries to use later. These cars are driven only by their electric motor or electric motors. The gas engine acts as an additional power source to produce electricity for a generator that recharges the electric batteries, allowing the vehicle to go further than it would on a normal charge. Most people recognize these hybrids, which can be plugged into an electric outlet to recharge their batteries. There are also more and more charging stations available along the road today. These hybrids have a conventional engine, but they also have a larger battery so they can drive longer distances using electric power. Electric cars are growing in popularity with consumer demand and some even have dual motors making for All Wheel Drive platforms that secure 0-60mph times under 3 seconds, making them some of the fastest cars on the planet. These fully-electric vehicles do not include a fuel counterpart like a hybrid or any exhaust tips. The lithium-ion battery is charged using a wall connector or charging station. Many of these vehicles come with integrated trip planners and you can also use online trip planners to locate charging stations that are in a national network that grows every month in North America. The downside, when you are out of charge, you are done until you are charged. Owners love the thought of never adding fuel for the daily commute and they plug in at home for the next day. Hybrid and electric cars today are similar to conventional vehicles. Many offer a choice of power modes so you can decide if you want your car to deliver more efficiency or performance depending on your preferences. Most hybrids charge their own batteries, which means you can drive further than ever, while the technology in electric vehicles is becoming more advanced year after year. 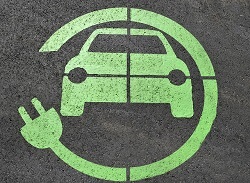 City drivers will especially benefit from a hybrid or electric car since they use less or no gas. These vehicles also result in fewer emissions. Our inventory has some of the most popular fuel-efficient vehicles on the market today! How Much Can the 2018 Toyota RAV4 Tow? When you’re shopping for a pickup truck, towing information is often readily available. This is because towing is mostly associated with pickup trucks. But trucks aren’t the only vehicles that can haul a trailer, and information on how much some of those vehicles can tow might be a little more difficult to come by. Here at Dallas Lease Returns, we want to help out by giving you the details on exactly how much the Toyota RAV4 can tow! LE Hybrid CVT 1,750 lbs. XLE Hybrid CVT 1,750 lbs. SE Hybrid CVT 0 lbs. Limited Hybrid CVT 1,750 lbs. As you can see, the towing capacity varies based on trim level and whether it’s equipped with the front-wheel drive or all-wheel drive system. You might also notice that these numbers are higher than you might have expected, especially the RAV4 Adventure grades. 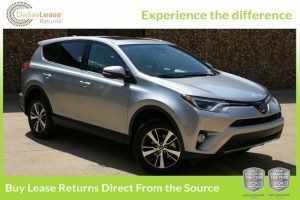 Here at Dallas Lease Returns, we have multiple 2018 Toyota RAV4s in our inventory right now! Visit our website to check them out, or come by any time! What is the Difference Between Chevy Trucks and Ford Trucks? 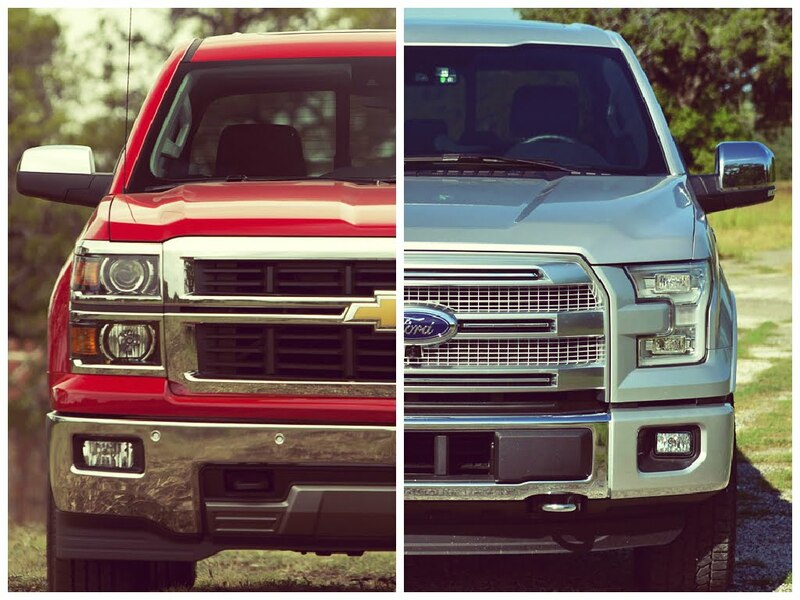 Are you in the market for a truck but are not sure whether to purchase a Ford or a Chevy? No problem, we can help! At Dallas Lease Returns we have both Chevorlet and Ford trucks in our inventory, and believe that they are both great truck companies. However, there are still some differences between the two. Continue reading to find out what they are! Chevy is known for their amazing pickup trucks, but what sets them apart from other companies? Chevy has been around for 1o0 years! The company first started out building Supply Chain and Farming trucks for different companies. Eventually, they made the Light Delivery Chassis, a truck-like-vehicle that made it much easier for people to transport items without a horse or a buggy. Chevy made history with this design and it helped society progress immensely. Today, Chevy specializes in making vehicles that are lighter and smaller. As we all know, gas prices have gone up overtime and Chevy tries to make their trucks cost efficient while still being reliable. Ford is also a company that has been around for quite awhile. They are known for being the vehicle choice for the working man or women. This company specializes in making trucks that are both aesthetically pleasing, while also still being tough and durable. Around most of America, Ford trucks are known for their outstanding performance and value. In fact, in 2009 the Ford F-150 won the prestigious Motor Trend Truck of the year award. In 2017, the Ford Super Duty won the Motor Trend Truck of the Year. Ford is known for being a tough car and it shows through their awards and outstanding achievements. As you can see, both of these companies are amazing in different ways. For more information, please visit our website or call (214) 960-1388! Trucks are some of the bestselling vehicles in the country! They are not only loved, but are also trusted by millions of drivers.Here at Dallas Lease Returns, we believe that owning a truck is something everyone should enjoy at least once in their life! To put it simply, truck ownership offers a completely different driving experience than anything a small compact or even smaller sub compact car can deliver. Still on the fence? No problem! We came up with Five Reasons to Buy a Used Truck today! Continue reading to learn more! Towing capacity (A.K.A torque) goes hand in hand with horsepower. Most trucks made in recent years have the ability to tow objects of 12,000 + pounds! This amount of power has endless opportunities for you and your family. You will easily be able to take long trips and hook a camper or anything else to the back of your truck. Think of all the memories to be made! Things just seem to be getting smaller and smaller. With compact cars being transformed into sub-compact vehicles, leg room and cargo space are often limited. This is not the case when it comes to trucks. The great thing about pickup trucks is how each body style can accommodate different needs in terms of room and number of passengers. To have the most room, it is recommended by Autotrader to go for a crew cab as you’ll have four full doors. 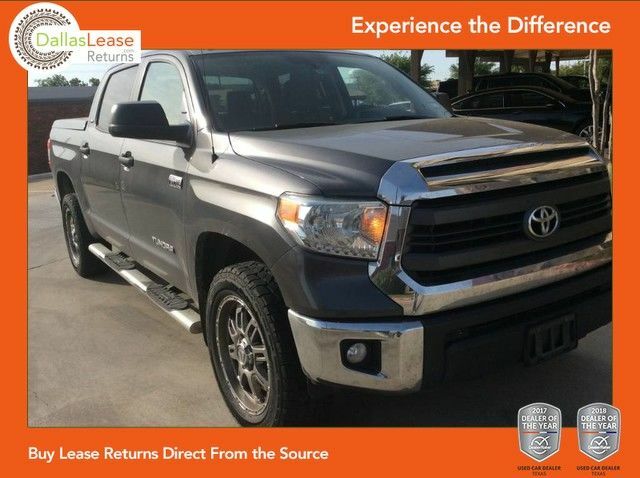 At Dallas Lease Returns, we have great quality used crew cab trucks in our inventory right now! Why suffer? You deserve to have a comfortable and spacious daily commute. You will literally experience a whole new world with a truck! The height of the cabin is indicative of the enhanced view. You’ll be able to see so much more on the highway than if you were in a little coupe or sedan. Enhanced safety is a huge benefit of trucks! If you’re looking to keep your next vehicle for a long time, you obviously want to choose one that holds its value. Because trucks are bigger and made out of more expensive equipment, they retain their value much longer than a regular car. Plus, if you purchase a used truck instead of a new one- you save money! It’s a win-win situation in the short and long run! At Dallas Lease Returns, we just want to help you find a great quality vehicle you and your family will love and enjoy! If you decide to go the truck route, we have over 50 great quality used trucks in our inventory right now! But if not, that’s okay too! We offer all makes and models- so we’re sure we have the perfect fit for you! 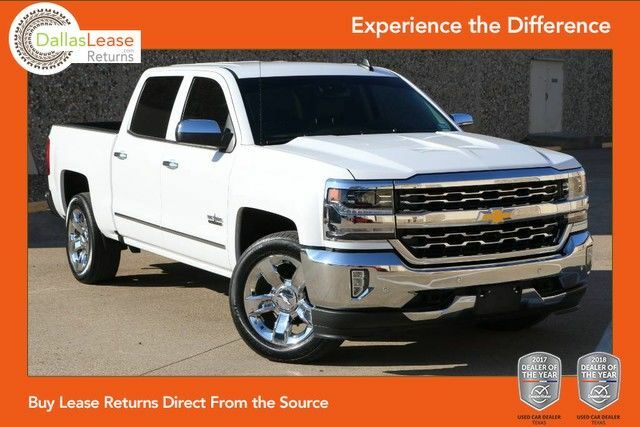 Come experience the difference with Dallas Lease Returns, we promise you will not be disappointed!